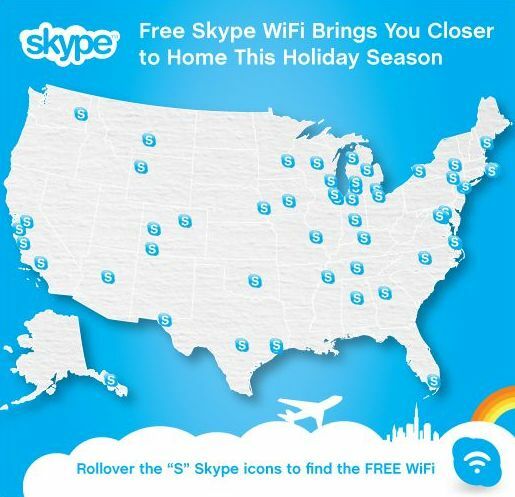 Skype is giving the gift of free Wi-Fi at various U.S. airports from December 21st until December 27th. The list of airports isn’t very long, but it looks like it covers some of the major U.S. hubs (Chicago O’Hare, Denver, San Francisco) so if you’re between flights during your holiday travels, you can at least hop online for free with your laptop if you need to. To access the free Wi-Fi, you’ll need the latest version of Skype on your laptop or the Skype Wi-Fi app for your iOS device (iPhone, iPad). No mention of Android devices, unfortunately.